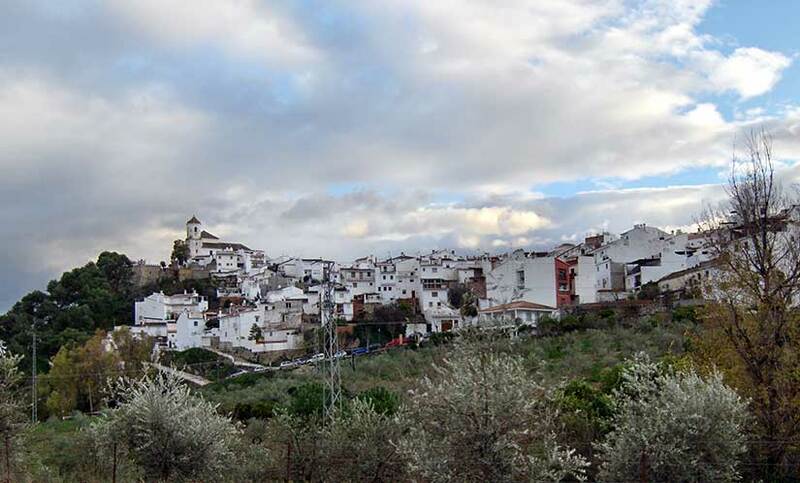 A village of Arabic origin located where the Guadalhorce Valley meets the Serrania de Ronda mountain range, which explains the wide variety of scenery on offer here, ranging from the slopes of the Sierra Prieta, home to a delightful spot known as La Ventanilla, to the countryside of the Valley itself. Its architecture is typically Andalusian, with clean, secluded streets of whitewashed houses decorated with flowers. Alozaina was named the most beautiful village in Spain in 1977. Alozaina Castle, remains of whose walls still stand, was built during the Moslem occupation, and the village’s name is also of Arabic origin, coming from Alhosaina, meaning “small castle”. On 21 June 1484, the Marquis of Cadiz captured the village on behalf of the Catholic Monarchs. According to the chronicler Mosen Diego de Valera, five days after Alozaina surrendered, he ordered lands to be pruned and olive trees cut down, particularly in the La Dehesa and Ardite areas, and that the place be set alight, measures designed to exact revenge for the murder of Count Lozano, a relative of King Ferdinand. As a result, Alozaina was deserted for some time, before being resettled by Old Christians.